FHA 203k Loans in New York & Pennsylvania: Buy and Repair a Home! The FHA 203k loan in New York and Pennsylvania is a great product, backed by the federal government, that allows homeowners to obtain mortgage financing for purchase that can include funds for the costs of repairs and upgrades to a home. When you're considering a kitchen remodel, adding a bedroom or bathroom or making any major household improvement, give us a call today to see how the home renovation FHA 203k loan in New York and Pennsylvania can help you and how much you qualify for. Most often, FHA 203k loan in New York and Pennsylvania, also known as a home renovation, improvement and rehab loan is used for purchase and repair of single-family properties. An upgraded backyard pool, deck and even a built in grill will create the perfect outdoor environment for home entertainment. The choice is yours! Fill out the form to gain access to a quote for current rates and get started on your way to house renovation, or call 800-499-0141 to be connected directly to an experienced mortgage expert! How Does the FHA 203k Loan in New York and Pennsylvania Works? FHA 203k loan in New York and Pennsylvania, that can be either fixed or adjustable-rate loan, would allow you to borrow money to purchase the home and also finance the costs to make these necessary repairs. All work must be done through a licensed contractor and inspected by an FHA inspector to make sure the work is done properly and at correct timeline. There are many factors and details that go into 203k rehab loan, but we want to give an overall synopsis of the product. How about adding another exciting dimension to your poolscape with an inviting sunroom or a brand new deck! Whether you select concrete, redwood, tile, brick or stone decking, now is the time to start planning your backyard paradise. The good news is that up to 76.8% of the cost of a deck addition is recouped in the sale of the home. In addition, according to experts, 66.3% of the cost of a sunroom addition can be recouped. Whether buying and renovating an entire home or fixing up existing living space to better suit your lifestyle get your funds with FHA 203k loans in New York & Pennsylvania and start working on your new bathroom, kitchen or roof at house in Philadelphia, Albany or Rochester, NY. We have seen this program grow over the last couple of years. In real estate market, a house may sit vacant for some time and become in disrepair. The ability of a realtor to sell them as-is are very limited. You would need an all cash buyer or someone with some private financing. However, with this program the pool of potential buyers become greater. This loan can also be used for upgrades as well. An example would be an older property that was in good condition but was outdated. You could obtain funds to purchase the house and finance a kitchen renovation or install new windows. Typically upgrades are fine as long as they are not a luxury upgrade. We have seen this product increasing in popularity due to the lack of construction financing. In years past, you may have seen someone buy a house and demolish it to make way to build a new house. That's great if you can find home construction financing, but that product has really dried up during the mortgage implosion. More and more people are turning to the Pennsylvania & New York FHA 203k loans to renovate existing homes to today's current standards. I contacted Artisan in response to an e-mail I received from their president Jim Barry. He followed up with a phone call the next day and even though my situation was somewhat unique he was very persistent and got me approved. Communication was excellent and the whole process was very smooth from start to finish. FHA 203k loan lenders in Pennsylvania and New York will require that all homes be in good condition and have all component in good working order, whether you’re in Lancaster, PA, Rochester or Long Island, NY. If your house had a leaky roof or heating system that was in disrepair, it would not be eligible for financing. This becomes a necessary product when a potential house does not meet minimum property standards. After the Sandy hurricane, many homeowners who were under insured or were struggling to get their insurance money were able to use this program to get back in their houses. They could refinance their existing mortgage and get the monies they needed to complete the necessary repairs. It was a great option for those who needed to get back into their homes quickly. The downside to the 203k rehab as with all FHA loans is that it comes with mandated mortgage insurance. The FHA MIP program can be expensive at times, but with today's lack of mortgage options this is still a great choice for those that need the program. As with standard FHA loans, the minimum down payment to buy a house is still 3.5% which gives many homebuyers the flexibility they need in today's ever changing real estate market. Renovating your existing home can be an exciting and satisfying event. This section is designed to walk you through the exciting challenges of undertaking such a project. Remember, this is the overview of FHA 203k mortgage loans in Pennsylvania and New York and there are some finer detail points on this product. Please visit the U.S. Department of Housing and Urban Development official website entp.hud.gov to research NY & PA limits as they vary by county. If you are interested, I suggest you fill out the form or call one of our experts today, and they will discuss your options. Still sitting on the fence as you watch your family and friends land those incredible real estate and remodeling deals? Maybe it was an uncertain spring regarding your decision to relocate or remodel earlier this year. But now you can take advantage of those remaining hot summer bargains! You still have to scoop up an income-producing property, a vacation, or your dream home at phenomenally low prices with low-interest financing! Maybe it's simply time to add that second story or pool and deck you've been wanting! What's stopping you from taking that next step? Market uncertainty? Credit problems? We can help you. Call us today! Home improvements trend has encouraged community banks to begin developing affordable housing options for remodeling projects both large and small. Prompt, professional and local service. I felt I could trust them… answered questions we had very patiently and thorough. Lower closing cost rates compared to other brokers I called. I found Jim to be a straightforward, professional who made our refinance happen quickly and smoothly. Would recommend Artisan Mortgage to anyone out there looking. Artisan’s improvement and home renovation FHA 203k loan in New York & Pennsylvania allows you to payoff your existing mortgage and establish a new construction loan with additional funds available to repair and improve your home. This program is ideal for repairing damage and can also allow you to roll in a house expansion, pool, garage enclosure or any other type of upgrade project. Your existing mortgage is paid off and a combination Construction/Permanent loan is made. The new amount will be based on the estimated value of the home aftre repairs and additions. As repair work is completed, and following inspection, funds are disbursed. Funds paid by your insurance company can be used to reduce the outstanding principal balance on your existing loan. All expenses may be included in the new one resulting in minimal out-of-pocket expenses. As a true mortgage company, our pledge to the best service gives you a new freedom of choice in your financial service needs. Our professionals are driven by a passion for prompt answers on every financial requests, understandable products and quick access to accounts. 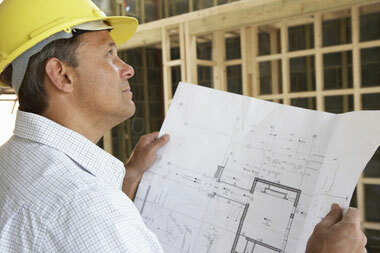 We would like to help you solve some of the challenges of rebuilding or repairing your house. When you're ready for your home improvement, renovation or remodeling call our knowledgeable loan officers at 1-800-499-0141 to apply or learn more about the FHA 203k loans in New York and Pennsylvania, process and eligibility requirements whether you're in Long island, Queens, Brooklyn, Staten Island, Bronx and Manhattan, NY.